The endocrine system is a network of organs and the hormones they secrete which regulate body processes such as growth, metabolism, sexual function, sleep, etc. The thyroid gland is one of the largest organs belonging to this system and plays an essential role. It is located in front of the throat above the collarbone with two lobes each present on either side of the windpipe. The hormones secreted by thyroid regulate body metabolism and the activity of other hormones. The principal hormones secreted by it are triiodothyronine, thyroxine, and calcitonin. The first two hormones control growth and the rate at which the body burns calories while calcitonin regulates calcium levels. The thyroid gland is controlled by the pituitary, which is considered the ‘master gland’ of the endocrine system. 1 in 20 people suffers from a thyroid dysfunction at some stage in life. Thyroid treatment involves taking thyroxine supplements in case of hypothyroidism and drugs to reduce activity in case of hyperthyroidism. When this line of treatment fails, part or whole gland can be removed surgically. Thyroid cancer and nodules are treated by surgical removal or radioactive iodine. Alternative medicine and naturopathy also offer remedies to these disorders. Curcumin, as well as curcumin free turmeric, have natural anti-inflammatory properties. This can benefit in conditions like thyroiditis, goitre and thyroid cancer. Curcumin acts on pro-inflammatory enzymes like COX and LOX in order to control inflammation from spreading. Unlike regular NSAIDs which act only COX enzyme, curcumin acts on both the enzymes without causing any side effects like gastric and liver toxicity. Curcumin also regulates and inhibits the activity of key players in inflammation like TNF-alpha and Nuclear factor-kappa B. By acting on these proteins as well as other biochemical targets and inflammatory pathways, curcumin relieves inflammation as effectively as conventional therapy. Curcumin and other curcuminoids in turmeric are strong antioxidants with antioxidant activity comparable to vitamin C and E.
A study published in Indian Journal of Experimental Biology,2002 reveals that turmeric extract is as effective an antioxidant like vitamin E and C in hypothyroidism. In an animal study, Samanta et.al have demonstrated that turmeric and curcumin can counteract oxidative stress (imbalance between prooxidant and antioxidant agents) caused by elevated triiodothyronine levels. Hyperthyroidism is a condition caused by elevated thyroid hormone levels. Elevated thyroid hormone levels can cause an imbalance between prooxidant and antioxidant levels in the body. Hyperthyroidism causes oxidative stress in the brain. Jena et.al have proven that curcumin can regulate the levels of antioxidant enzyme and relieve oxidative stress induced in the brain due to hyperthyroidism. Hyperthyroidism affects the levels of liver enzyme and in turn disrupts liver function. Curcumin and vitamin E combination is found to alleviate such damage and restore liver function. In an animal model of hypothyroidism, turmeric extract treatment is found to reduce atrophy (reduction in size) of thyroid glands and prevents the reduction of thyroid hormone levels. It is also found to alleviate high levels of cholesterol caused by hypothyroidism. One study highlights that curcumin may have an age-related effect on the thyroid gland. This study found that curcumin increases levels of thyroid hormones at a young age and reduces hormone levels in aged. Further studies are required to assess this finding. A study published in the Indian Journal of Endocrinology and Metabolism investigated the role of dietary turmeric in the development of goitre. In this survey, 2335 individuals were interviewed for disease history and screened for goitre. The population had an endemic goitre and high prevalence of hyperthyroidism was observed. Interestingly goitre was less common in those individuals who consumed milk, ghee, spices, chillies and turmeric. Certain thyroid disorders are an autoimmune condition like Graves disease and Hashimoto’s disease. These are characterized by abnormal levels of thyroid hormones and can increase the risk of developing a goitre. In autoimmune conditions, the antibodies produced to fight infection, start attacking body tissues instead paving way for inflammation and damage to various organs. Curcumin has immunomodulatory activity- it regulates immune responses. It regulates the activity of immune cells as well as cytokines (chemicals secreted by cells) that play an important role in autoimmune reactions thereby preventing them. Research suggests that curcumin may be an effective agent in inhibiting the growth of tumors and thereby aid in the treatment of thyroid cancer. Curcumin potentiates the anti-tumor and anti-cancer effect of sorafenib and docetaxel (anti-cancer drug) in treatment of thyroid cancer. Curcumin is proven to sensitize thyroid cancer cells to the action of radioactive iodine which is used in the treatment of thyroid disorders. 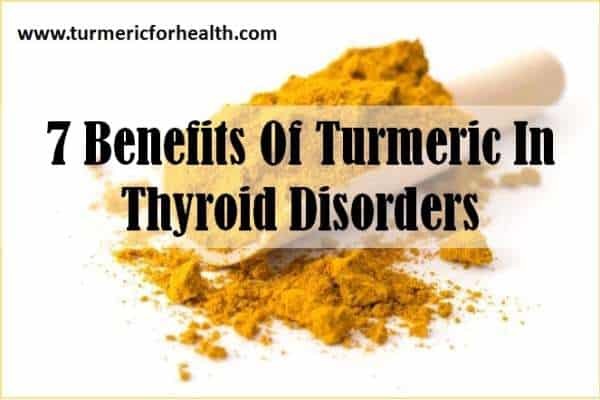 Dietary turmeric can benefit in reducing the risk of thyroid disorders as well as benefit in treatment. A good way of taking turmeric is Golden Paste. It includes oil and black pepper to enhance the absorption of turmeric and curcumin. Curcumin found in turmeric is known to interfere with drug metabolism. It can balance thyroid hormones in hyperthyroidism as well as hypothyroidism. It can help reduce inflammation and reduce the risk of goitre. Turmeric can prevent and benefit from thyroid cancer. Suffering from bad lower back pain affecting my walking, I decided to try Turmeric after a recommendation from a friend. 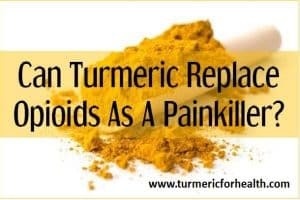 I have been taking Turmeric for over 3 years and I am now able to walk distances with no back pain. A real life saver. It only took about 1-2 months before I noticed the real benefits. It has changed my lifestyle considerably. I am even back at the gym weight training and using the bike. I am 78 going on 79 years old. I take one capsule with a glass of water before breakfast and another before my evening meal. I will always be so grateful to my friend for her recommendation. Hello. I have read your article on thyroid disorders and curcumin. I would like to take 3 teaspoons of curcuma-black pepper mix per day to help my thyroid gland – hypothyroidism – and relieve horrible muscle back pain which i have during winter months but i do not know if it is safe to take this mixture when i have to take 200mg of Quentiapine every night? Also, i do not know for how long i should take curcuma to see some improvement in my health or how long it is safe to take it – i mean, if i can take it continuously or just for certain time only and then stop? Thanking you in advance for the answer and advice. Hi. If you plan to take turmeric and black pepper, then one of the best ways to consume it is the Golden Paste. Start with small doses such as 1/4-1/2 tsp and if you see no side effects then increase the dose gradually to 1 tsp 2-3 times a day over a few weeks. Best taken with food to avoid acid reflux. Avoid taking it at the same time when you take meds. Since you mentioned that you take a medication at night, it would be helpful if you take Golden paste in the morning or till the afternoon to ensure a good gap between the two. But please consult your doctor first. Dietary turmeric is safe and can be taken lifelong. How long would it take to see benefits…that depends on the severity of the condition and the dosage but at a dose of 3 tsp (increase dosage gradually) pain relief should be evidenced within 1 month. I had thyroid cancer and now on daily 250 mcg dosage. Will golden paste benefit me? I have hypo thyroid. Can i go for goldenpaste treatment as i have gallbladder stone too. I have a under active thyroid. I take thyroxine. Could I take tumeric tablets also, or would this effect my blood results ie tft, tsh levels. Hi. 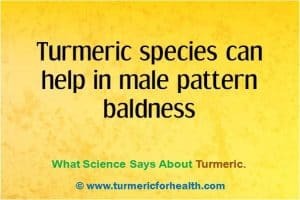 As you know turmeric is proven to benefit thyroid health, but since you are taking treatment for the same we would suggest consulting a health practitioner before taking turmeric supplements. Hi, my dog is a 9 years old German Shepherd. He has hip and thyroid problems. Currently he is on Thyrosit for the thyroidism and taking Immunovet (a supplement) as well as Synoquin. Is it ok for the dog to take tumeric powder alongside with all those meds/supplement? Hi. We don’t have concrete evidence to confirm whether turmeric could interact with the meds you mentioned. It is best to consult a vet about this. Based on our knowledge, we would recommend starting with low dose of Golden paste say 1/8-1/4 tsp, not at the same time of giving meds. Preferably maintain 3-4 hour gap. It should help with the hip problem. And experimental studies suggest that turmeric helps with thyroid function as well. My German shephard has the same problem. Today will be the first day that I will start her on raw turmeric powder. Along side with being on a raw diet, I will have her thyroid levels tested in 30 days to see if there is any improvement. That said, hoping to NOT put her on any conventional medications. Our 10 yo BRT had a melanoma mouth tumor that was excised. We rejected chemo and radical mouth surgery. She has been on gluten free, beef free for some time. We made food supplement (meatloaf) of salmon with, organic black beans, brown rice, antioxidants such as blueberries, garlic, tumeric, and aswagandha. Six months later, she has no evident cancer and acts like a puppy, very healthy. The supplement is about 50% of diet. Kibble is fish and potato mostly. I also put a little tumeric mixture in her water. Good luck. (I am 70, eat along the same lines actually, and am in very good health, avoid doctors, and take no medications for anything, as everything is “normal”. ). Hi. Thank you for sharing your valuable experience. It’s amazing to hear how dietary changes and inclusion of antioxidants such as turmeric benefited your pet. I had goiter and i removed it 2yrs ago it was tested I am now diagnosed with papillary cancer. Doctor suggest that I completely remove it. 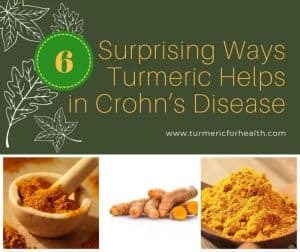 How do I add turmeric to my diet and can I use turmeric instead of doing chemotherapy ? Turmeric can be included in diet in salads, soups, curries etc. It is preferable to take it with black pepper and/or oil. A good recipe that combines these 3 is Golden Paste. Turmeric is not meant to replace professional advice so it is preferable that you get a second opinion and follow doctor’s advice as well. My sister in law suffers now and then from her lymph nodes swelling , they had told her to do surgery to remove the thyroid but she refused and does natural . She was on pro bio tics but is turmeric better ? As when she stresses her lymph nodes swell up . Please advice . Hi. We have not come across enough evidence to comment whether turmeric would be better than probiotics for thyroid issues but one must note that they are absolutely different food groups. So mechanism of action of both would be different. It is safe to include both in diet. She can try taking Golden Paste to improve thyroid function. Hi. Yes turmeric is very beneficial in diabetes. It helps in lowering blood sugar. I have my gallbladder removed. Can I taje turmeric gokden milk? Yes it is absolutely fine to take turmeric and golden milk even after gallbladder removal. Turmeric improves liver function by aiding in detoxification. It can benefit as anti-inflammatory and immunomodulatory agent in biliary cirrhosis. It also improves thyroid function. Hi, I am suffering from hypothyroidism and Hashimoto disease is not ruled out. I also happen to have several calcified thyroid nodules. I do not want to undergo surgery and want to shrink the nodules naturally. Do you think boiling fresh turmeric and making it a turmeric tea will be of great help? Turmeric tea, 1 cup a day, would help. A combination of curcumin supplements and Golden Paste would help; but consult a doctor before taking turmeric supplements. Do not consume all three(tea, paste and supplements) as that would be an excess. Turmeric should help ameliorate the situation but we can’t comment on how effective this would be as it depends on severity of the disease. You can consult a herbalist or naturopath about this. Can I take turmeric as a replacement for synthroid? or there is nothing natural I can take to replace it? Hi. We don’t recommend replacing turmeric for conventional medicine unless your doctor is agreeing to it. What you could do is include turmeric in your diet and observe the benefit in thyroid disorders. Once you see a significant improvement you can consult your doctor as to whether you can replace, discontinue or reduce the dosage of synthroid. I was dignost with esophagus Barrett is it ok to take tumeric ? i have been recently diagnosed with hyperthyroidism/graves. not on meds yet due to high liver enzymes is tumeric safe alternative? 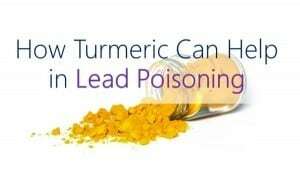 Yes turmeric is beneficial in hyperthyroidism and liver health.You can take Golden Paste. Start with small doses such as 1/4-1/2 tsp and if you see no side effects then increase the dose gradually to 1-2 tsp 2-3 times a day over a few weeks. Best taken with food to avoid acid reflux. Avoid taking it at the same time when you take other meds. This will be of help to you. You can also include turmeric in your diet. Supplements are best taken with meals to avoid acid reflux. You could discuss this with your doctor. I had my thyroid removed due to goiter and cancer.Will it hurt me to take turmeric ? Its safe to include turmeric in diet. Start with small doses such as 1/2 tsp and if you observe no side effects you could take as much as 1 tsp a day.